1. What is the Postal ID Privilege Program? The Postal ID Privilege Program is a value­ added service that entitles the Improved Postal ID cardholders upfront discounts, product/service upgrades, freebies, and other exclusive deals atdifferent merchant partners across the country. The Improved Postal ID cardholders can now enjoy various privileges while dining at restaurants, staying at hotels or resorts, visiting theme parks, shopping for appliances and other products, or availing services in salons, spas, clinics, fitness centers, training schools, etc. You may check the Privilege Program section of the Postal ID website and/or www.facebook.com/newpostalid from time to time to get the latest updates on the privileges we have in store for you. 2. Who are the merchant partners? Visit the Privilege Program section of the Postal ID website for the complete list of the merchant partners. You may also click the particular merchant partner you are interested in to view their details and promo mechanics. Please note that this list is constantly updated, so stay tuned to the Postal ID website and/or www.facebook.com/newpostalid to get the latest news about the merchant partners and their respective offers. 3. How do I use my Improved Postal ID as a privilege card? i. Visit the merchant partner of your choice. ii. Present your valid Improved Postal ID, and inquire about their product or service included. iii. Follow their mechanics, and enjoy the discounts, upgrades or freebies of your chosen. 4. How do I ensure that my Postal ID is qualified for the privilege program? For you to be able to enjoy the privilege program, please make sure that the Postal ID you present is the improved version (the gray PVC Postal ID card similar to the photo below). Check the Improved Postal ID's validity, which you may see printed on the face of the card. It should be within the validity period for you to be able to qualify for the privilege program. Please also ensure that the Improved Postal ID is in good physical condition. It must not be bent, broken or vandalized in any way. 5. Do I need to present my actual Improved Postal ID to avail the program privileges? Yes, you need to present your actual Improved Postal ID to the merchant partner for you to avail the program privileges. This is needed to give the merchant partner a means to validate the authenticity of your card. 6. Are my program privileges transferrable? No, the program privileges are not transferrable. The Improved Postal ID cardholder must be present during every transaction. There are, however, some merchant partners that extend the program privileges to the cardholder's companions at the time the transaction is being made. For more information, please check the Privilege Program section of the Postal ID website. 7. Can I combine my Improved Postal ID privileges with other existing promos of the merchant partner? No, you cannot combine your Improved Postal ID privileges with other existing promotions, offers or coupons of the merchant partner, unless otherwise stated in their mechanics. Generally, the promo that gives you more savings shall apply. 8. Can I combine my Improved Postal ID privileges with other government mandated discounts, such as the senior citizen or student discounts? No, you cannot combine your Improved Postal ID privileges with government mandated discounts such as those given to senior citizens or students, unless otherwise stated in the merchant partner's mechanics. Generally, the promo/discount that gives you more savings shall apply. 9. What should I do if a merchant partner does not recognize or honor my Improved Postal ID? or send us a private message at www.facebook.com/newpostalid. 10. How many times can I use my Improved Postal ID in availing the program privileges? You may use your Improved Postal ID in availing the program privileges as many times as you want to. For specific rules and regulations, kindly check the Privilege Program section of the Postal ID website, and know more about your privileges in detail. 11. I used my Improved Postal ID to avail a program privilege, but did not like the quality of the product/service I got. What do I do? We continuously take stringent measures to ensure that the merchant partners in the Postal ID Privilege Program offer the best quality products/service to the Improved Postal ID cardholders. However, it may not be practically possible for us to ensure quality at all our merchant partners' outlets all the time. Hence, we encourage all the Improved Postal ID cardholders to contact and raise their quality concerns directly to the merchant partner, but still inform us by calling the Postal ID Customer Service Hotline numbers, so we can help you address the issue with the merchant partner in question. 12. What do I do if I want a particular product, service or merchant partner included in the Postal ID Privilege Program? If you have a particular product, service or merchant in mind that you want to be included in the Postal ID Privilege Program, please do inform us by filling out the form in the Postal ID website www.postalidph.com/contact­us or sending us a private message at www.facebook.com/newpostalid. We would also appreciate it if you can already include in your message the contact details of your suggested merchant partner, if any. Rest assured that we will do our best to improve our privilege program portfolio and serve you better. Please do stay tuned to the Postal ID website or www.facebook.com/newpostalid to get updates on the privilege program. 13. I am a business owner, and I am interested in the Postal ID Privilege Program. How can I join as a merchant partner? 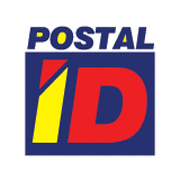 Kindly contact us by filling out the form in the Postal ID website www.postalidph.com/contactus.html or sending us a private message at www.facebook.com/newpostalid to inform us about your interest to become a merchant partner. Our Account Executive will get in touch with you to discuss the Postal ID Privilege Program details at the soonest possible time.